In recent months, cryptocurrencies have attracted hoards of people including those who have had no experience in trading. The opportunity to become a millionaire lured not only ordinary folks but also various dubious characters eager to enrich themselves at the expense of inexperienced traders. One of such recent crypto scams is called Bitcoin Bank. Bitcoin Bank presents its program as an HYIP high yield investment program. This bank promises a quick and profitable return on investment via an automated platform. What else could a beginner wish? The service runs a cryptocurrency known as BTCB. By owning 1 coin you are supposed to earn 0.000005 bitcoin every day. Next, to maintaining accounts, Bitcoin Bank provides payment cards offering features of a standard debit card. During the transaction, BTCB is supposed to be automatically converted into a currency used in the given country. The bank also promises the user the possibility of using smartphones to pay. Registration is easy and quick. The whole process including verification takes a few minutes. Once you start investing in BTCB, the bank will take care of all your activities and invest on your behalf in various markets, cryptocurrencies, forex, and commodities. At first sight, all transactions look suspiciously perfect, exactly as all scam projects do when it comes to cryptocurrencies. The first suspicion appears when the user wants to thoroughly test the bank. Along with the miraculous positives offered by Bitcoin Bank the information on the internet is rather sketchy. What remains a mystery is the principle of its automated investment system, the same as the identity of the team members. Instead, the bank members present themselves through false profiles with stolen photos and LinkedIn profiles without history. Similarly obscure is the owner of the entire project. On 5 March 2018, FCNB, Canada’s regulator (Financial and Consumer Services Commission) issued a warning stressing that Bitcoin Bank did not posses any licence for the provision of investment services. Later on, the BB platform appeared on a list set up based on user complaints by FSMA (Belgium’s regulatory body) bearing names of various fraudulent brokers. 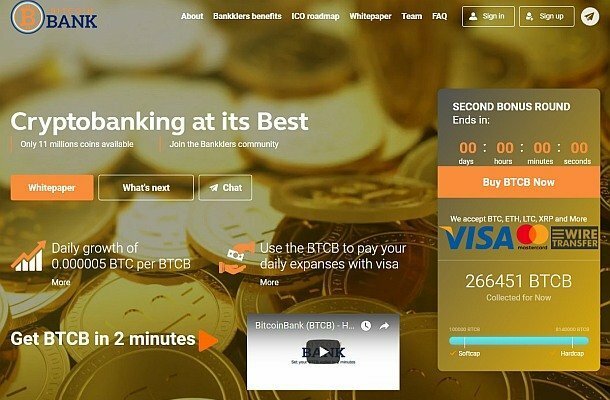 Right now it’s impossible to find Bitcoin Bank on the internet. anymore The symptoms suggest that the project was a pyramid built on a Ponzi scheme. What does it mean? BTBC has no real value. When buying BTBC, the system doesn’t trigger any automated investment process. Other trades don’t take place, either. Money sent back to user accounts temporarily is taken from the user’s total deposit. Initially, things look more or less normal. However, the above period has a limited lifetime. The collapse of a similar pyramid BitConnect in January 2018 demonstrated a typical scenario: The owners of the platform suddenly went dark with all the investor’s money and naive traders overnight lost all their “earnings”.